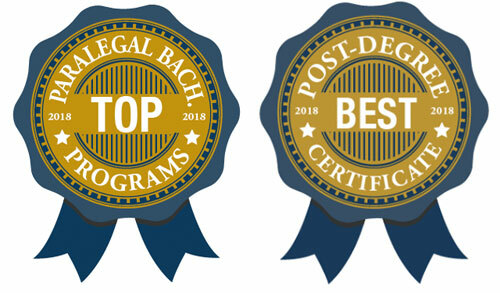 Proud to receive a listing as the only "Best in State" of Delaware - Top Bachelor's Degree Program in Paralegal Studies and Top Post-Degree Paralegal Certificate Program by paralegalEDU.org! You don’t have to become an attorney to start your legal career. Paralegals enjoy exciting careers in a variety of legal settings. Offered through the Graduate, International, Compliance, and Legal Studies office, you can choose from a wide range of professional degree and certificate options in paralegal studies. Delaware Law School offers a bachelor's degree or associate's degree in legal studies. Additionally, a general certificate is offered which can be tailored to a student's interest by choosing from a variety of legal specialty concentrations. With our reputation for excellence, our graduates have found fulfilling careers throughout the region and beyond. All options are approved by the American Bar Association, the leading organization for legal professionals and academic programs. Learn more about our paralegal studies programs.